Last week I had the opportunity to photograph two Amtrak trains in close proximity. One was a long-haul train with a historic name; the other was a nameless Northeast Regional schedule. They were Amtrak 176 on its way to Boston from Roanoke, and Amtrak 20, the northbound Crescent. The location is Sweetbriar, Virginia, north of Lynchburg. Let’s make it clear that this is not about the relative profitability of the two service types, cost allocation, accounting methods, etc. I don’t have access to the data necessary to do this, and thus, will concentrate on what I see as trends that might impact their relative importance going forward, including the long-term prospects of both. To start with the obvious, long-haul services have been in decline for many years at Amtrak. Many remember the Lone Star, Desert Wind, Pioneer and North Coast Hiawatha, for example, and the Broadway Limited in the east. Take a look at this photo of the Crescent arriving Atlanta on November 17, 1984. 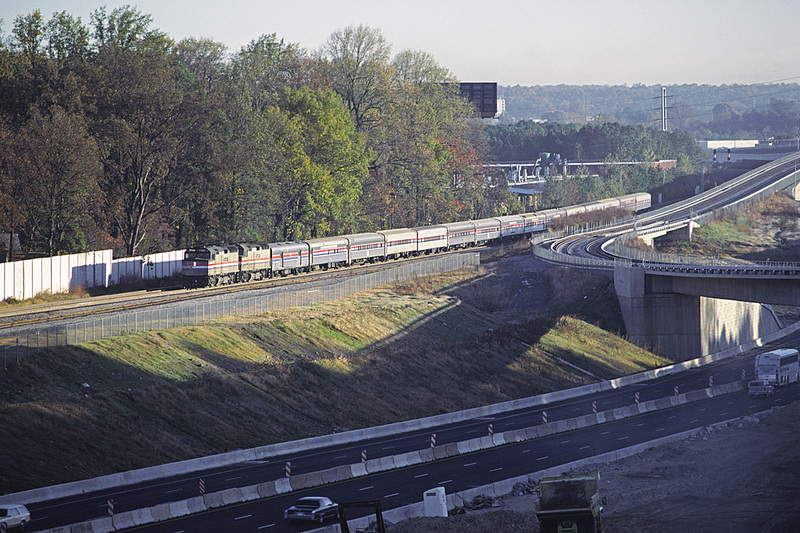 Fifteen cars are behind the two F40PH locomotives; the rear six operate only between New York and Atlanta. Today’s Crescent typically utilizes nine cars, including four coaches, two sleepers, diner, lounge and baggage. To put this in perspective, between 1984 and 2018, the population of the U.S. has grown by about 90 million people, yet today’s Crescent has less capacity than it did in 1984. The ostensible purpose of establishing Amtrak was to preserve a “national network” of passenger train service. In reality, the Penn Central bankruptcy had produced an urgent need to get passenger train losses off the backs of the freight railroads, lest the bankruptcy disease spread elsewhere. Providing a ‘national’ mandate would help to accomplish this, and, in any case, there was a belief that this would be an interim solution until all intercity passenger trains would be discontinued. Following the establishment of Amtrak, other travel options expanded as the Interstate highway system’s growth continued, and airline deregulation produced a crop of “new entrants” that had the effect of reducing the cost of airline tickets, particularly on longer hauls. At Amtrak’s inception, “corridors” didn’t really exist outside the Northeast. While there once had been extensive service on short and medium-haul routes in the Midwest, for example, this had essentially dried up by the early 1970s. 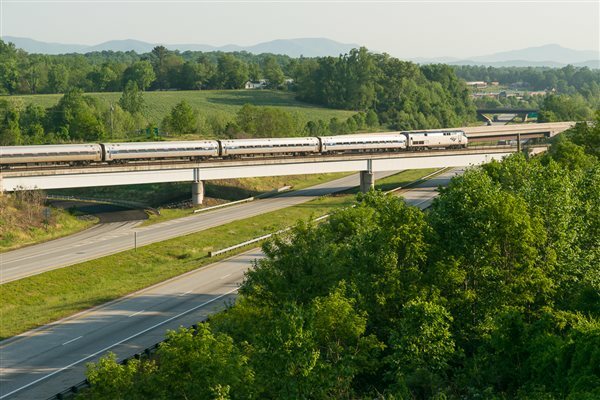 Today, six pairs of Amtrak Northeast Regional trains are extended into Virginia: two each to Richmond and Newport News, along with single trips to Norfolk and Roanoke. The very successful San Joaquin service began with a single round trip between Oakland and Bakersfield, and now has seven round trips, including a pair to and from Sacramento. Other short/medium markets have also experienced frequency increases. California, once famed for its “car culture”, has developed significant corridor operations in both northern and southern California. Interestingly, with the exception of Amtrak’s Coast Starlight, there is no rail connectivity between the two entities; both are region-centric. Maine wasn’t on the map in 1971, it now has frequent Amtrak service to Boston. 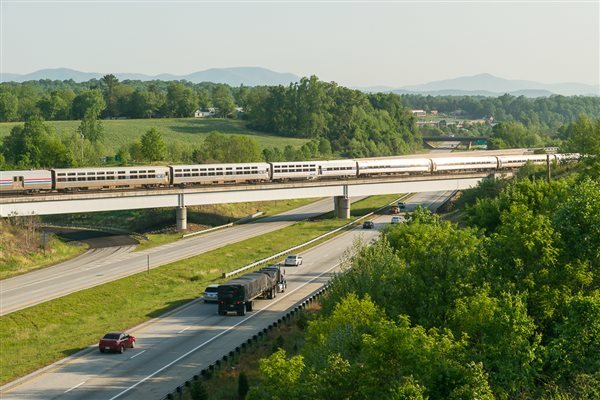 North Carolina’s “Piedmont” service between Charlotte and Raleigh will add a third round trip in June. Frequencies on Amtrak’s Cascades and Hiawatha routes are far greater than what was available on April 30, 1971, prior to Amtrak. Apparently we have been ignoring the obvious, even though the evidence is in plain sight: conventional long distance rail travel in the U.S. has entered into a long, slow and likely, terminal, decline. To borrow a previous Amtrak phrase, it seems to be on the glide path to oblivion. Amtrak never really was meant to serve even all the populous locations in the country; if it had been, the majority of rail passenger service available on April 30, 1971 should have remained in place. In reality, if there had been a desire for a really “national” passenger train system in 1971, the goal of those planning what became Amtrak should have been finding the source of funding for continued service on, for example, the Union Pacific from Omaha to Salt Lake City and beyond to Los Angeles and Portland. Were Rock Springs and Green River truly less deserving of access to a national system than Dodge City and La Junta? While useful in getting Amtrak launched politically, the idea of widespread geographical support resulting from inclusion of long-haul routes may actually been a trap, in terms of meeting Amtrak’s financial needs. What has resulted is essentially a “subsistence stipend”. Politicians seem leery of killing the long-haul routes, but the level of support that is being provided is not enough to effectively fund Amtrak’s needs. On the other hand, as demonstrated by growth in corridor-type services, where there is a real need for intercity rail passenger service, and constituents receive benefits that can be claimed politically, money can be found. This suggests strongly that Amtrak should continue to expand its corridor operations, including working with political coalitions to secure funding for them on a project-specific basis. 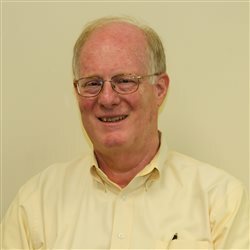 Even when they are not geographically contiguous, there should be economies of scale in procurement, and probably other areas such as training and maintenance, for example. The recent acquisition of Siemens Charger diesel locomotives for use in multiple state-sponsored services provides an example. Finally, what should be done about the remaining long-haul services? It seems unlikely that the current equipment can be replaced when it is obsolete. Current trains should be evaluated carefully, on a system basis, with those that don’t make the cut eliminated. In this process, it would be useful to consider non-traditional solutions, including reduced frequency; VIA Rail operates the Canadian twice or three times weekly. Another possibility is having Amtrak operate long-haul trains, with on-board service contracted out. Passenger rail, including Amtrak, can continue to contribute to America’s mobility needs. Done properly, an Amtrak considerably larger than today’s version could evolve; its route system probably won’t be contiguous. Forcing Amtrak to conform to political needs of fifty years ago is not going to produce a viable future.